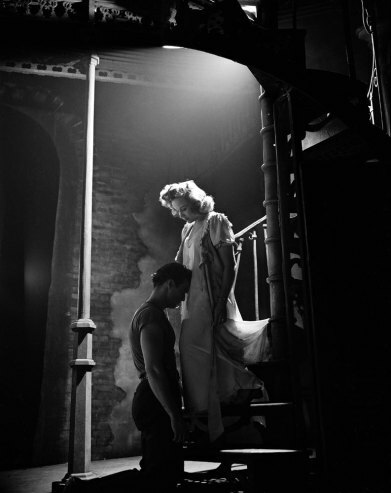 Four years before it made its way into celluloid history, A Streetcar Named Desire opened on Broadway 68 years ago this week, on December 3, 1947. 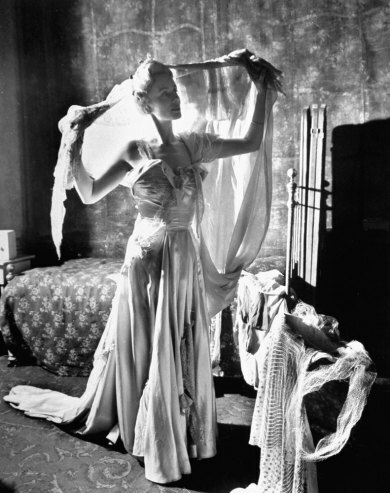 Three of the four principals—Marlon Brando, Kim Hunter and Karl Malden—followed the play to Hollywood, but Jessica Tandy lost the role of Blanche DuBois to Vivien Leigh, who earned an Oscar for her haunting portrayal of the fragile, faded Southern belle. 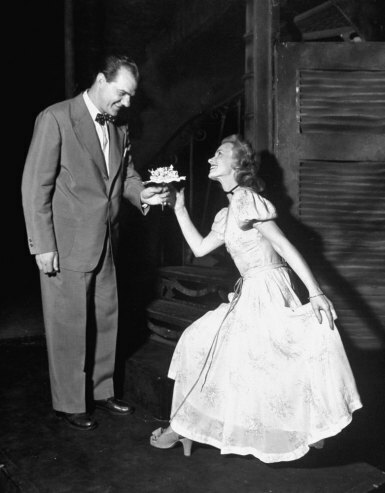 Tandy, whose performance was lauded by Brooks Atkinson in New York Times as “superb” and “almost incredibly true,” won a Tony for the role—sharing the award that year with Katharine Cornell for Antony and Cleopatra and Judith Anderson for Medea, the only three-way tie in Tony’s long and storied history. 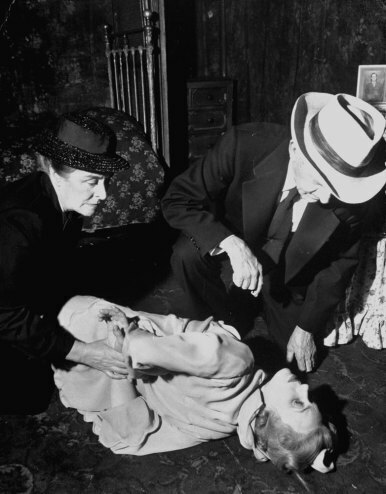 Tennessee Williams won the Pulitzer Prize. By the way, Brando wasn’t producer Irene Mayer Selznick’s first choice for the role or even her second. Her top pick, John Garfield, fell out of the running when he demanded a percentage of the profits, and her back-up, Burt Lancaster, couldn’t break free of film commitments. Posted in: Photo Gallery: They Had Faces Then ♦ The Story Behind the Film ♦ Tintype Tuesdays! Such fascinating background info on this play — I’ve read that Tandy and Brando disliked each other; and that he was also quite a pain to work with, always up to practical jokes (plus it was said that smitten women would camp outside his dressing room during the play’s run!). 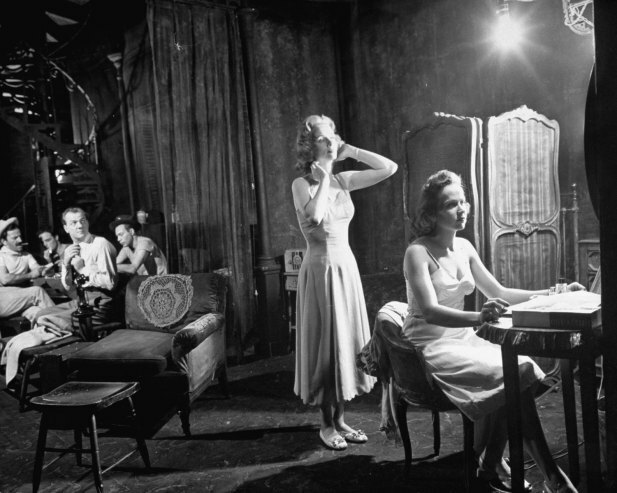 Several iconic actresses have also performed Blanche on stage, including Shelley Winters and Kim Stanley (though not on Broadway). 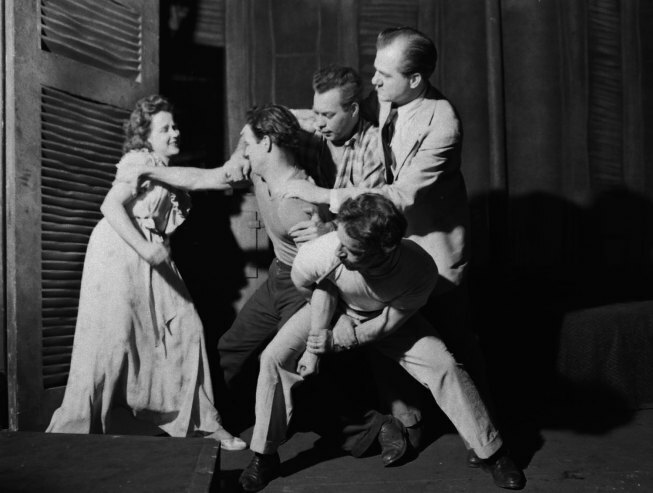 Yet Brando never returned to the stage after doing Streetcar; I guess the fleshpots of Hollywood were too great a lure!